Liberal MPs Joyce Murray and Terry Beech were vocal opponents of recently approved pipelines and urged the government, on numerous occasions behind closed doors, not to approve them. A senior British Columbia Liberal MP, who did not want the government to approve the $6.8-billion Trans Mountain Kinder Morgan pipeline, is holding discussions with other Liberal MPs from the province to put in place a monitoring system to ensure that all 157 conditions required by the government in the construction of the pipeline are fulfilled. Ms. Murray, who was first elected in a 2008 byelection, declined to discuss details as to how many MPs will take part in this process or where will they get the funding to hire staff. She said the discussions are still ongoing with her colleagues and she cannot share any details yet. In late November, Prime Minister Justin Trudeau (Papineau, Que.) gave conditional approval to Kinder Morgan Inc. to construct the Trans Mountain pipeline from Edmonton to Burnaby, B.C., and for Enbridge Inc. to expand its Line 3 pipeline from Alberta to Wisconsin. Enbridge’s Northern Gateway Pipeline, however, was rejected. The two approved pipelines are projected to create 22,000 jobs—15,000 from Kinder Morgan and 7,000 from Line 3—during the construction phase and help the struggling oil industry in the country. 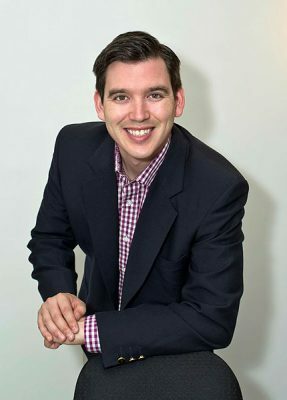 However, approving the pipelines was a politically divisive decision and several Liberal MPs such as Ms. Murray, Terry Beech (Burnaby North-Seymour, B.C. ), and Hedy Fry (Vancouver Centre, B.C.) publicly expressed disappointment. Also, dozens of environmentalists, indigenous leaders, and municipal politicians like Vancouver Mayor Gregor Robertson slammed the government for approving the pipelines. Several opponents vowed to go to court to challenge the decision and engage in civil disobedience. On the other hand, Alberta’s NDP Premier Rachel Notley and several industry leaders lauded the government for approving the pipelines, saying it will help the economy grow and create thousands of jobs. Mr. Beech told The Hill Times he will be a “very active member” of the group that Ms. Murray is trying to put together. He also declined to share details, which he said are still being discussed. “We have a job to represent our constituents. This is a project that our constituents are concerned about,” said Mr. Beech adding that environment is a top-of-mind issue in his riding. Mr. Beech and Ms. Murray were vocal opponents of the pipelines and urged the government, on numerous occasions behind closed doors, not to approve them. Ms. Murray acknowledged that it’s primarily the responsibility of the National Energy Board and Natural Resources Canada to monitor the Kinder Morgan pipeline. However, she added that it’s also the responsibility of elected legislators to ensure all conditions are followed in the construction process. Ms. Murray said that since the approval of the pipeline, her constituency office has received a significant amount to communication and most of the feedback is against the approval of the Kinder Morgan pipeline. Mr. Beech also said that a majority of the communication his office received from his constituents was critical of the government for approving the pipelines. NDP MPs Linda Duncan (Edmonton Strathcona, Alta.) and Nathan Cullen (Skeena-Bulkley Valley, B.C.) told The Hill Times that they would like to wait for details of Ms. Murray’s idea before passing judgment, but used it as ammunition against the government. Mr. Beech said such criticism is unfair and that the NDP is playing politics with the issue. “I don’t think there needs to be any politics involved in this,” Mr. Beech said. Mr. Beech won the last election by six percentage points, and Ms. Murray by a more comfortable margin of 32.7 percentage points. Both denied this issue will hurt the re-election chances of Liberal MPs in British Columbia in 2019. However, pollster David Coletto told The Hill Times in December that if the approval of Kinder Morgan pipeline expansion became a ballot box issue in British Columbia, some of the Liberal MPs in the Lower Mainland are likely to suffer. In the Lower Mainland, the Liberals won 16 of 26 seats in the last federal election. Of these 16, four were won by a margin of six percentage points or less. These four MPs include Mr. Beech, Dan Ruimy (Pitt Meadows-Maple Ridge, B.C.) who won by three points, Ron McKinnon (Coquitlam-Port Coquitlam, B.C) who won by three points, and Jati Sidhu (Mission-Matsqui-Fraser Canyon, B.C.) who won by two. In total, Liberals won 17 of the 42 seats in B.C. Meanwhile, Liberal MP Kim Rudd (Northumberland-Peterborough South, Ont. ), parliamentary secretary to Natural Resources Minister Jim Carr (Winnipeg South Centre, Man. ), told The Hill Times that the minister has advised oil companies to hire Canadians and indigenous people—not temporary foreign workers—to fill the 22,000 positions associated with these pipelines’ construction. “We want Canadians to be involved in the opportunities that will come from that pipeline. Once the pipeline is going, it will spur growth in communities,” said Ms. Rudd. Liberal MP Robert-Falcon Ouellette (Winnipeg Centre, Man. ), who recently returned from a 1,000-kilometre march from Saskatchewan to Manitoba, said he met with 41 indigenous communities during his 21-day long trek and there are mixed feelings about the government’s decision to approve the two pipelines. He said during his discussions, he found that thousands of indigenous people are looking for jobs and they would be happy to accept employment in the construction of these pipelines. Conservative MP Mark Strahl (Chilliwack-Hope, B.C.) said he’s had doubts whether 22,000 jobs will actually be created during the construction of the pipelines. Still, he said he supports Mr. Carr’s order to oil companies to hire Canadians and indigenous people for these projects. “I suspect, it’s direct, indirect, future jobs are all rolled into those numbers. I don’t expect we’ll see 22,000 people working all at the same time on these pipelines,” said Mr. Strahl. Ms. Duncan also said that she’s not sure if the 22,000 jobs will materialize. She said even if those numbers turn out to be accurate, these jobs will only last during the construction process. Ms. Duncan said the government should create more jobs to inspect the pipelines on a regular basis so that there are no breaks or spills.